The NSE Nifty was trading higher by 52.60 points, or 0.46 per cent, at 11,340.10. 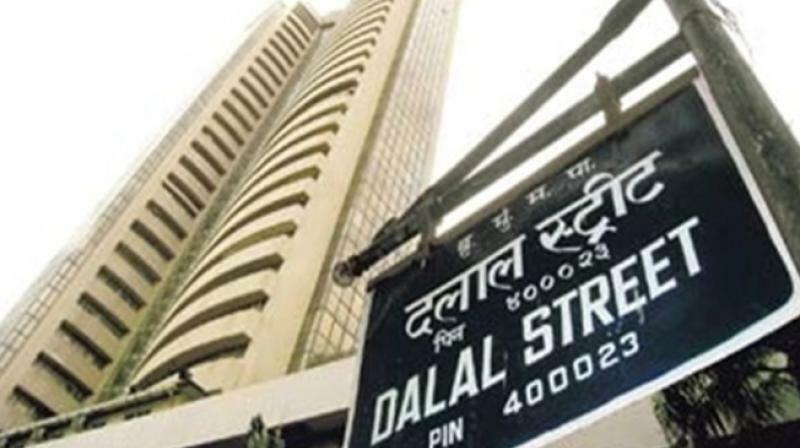 Mumbai: The BSE benchmark Sensex recovered by over 100 points and the NSE Nifty reclaimed the 11,300-mark in opening trade on Wednesday following fresh purchases made by domestic investors ahead of key macroeconomic data to be released later in the day. However, a weakening trend on other Asian bourses on worries over lingering trade conflict between the US and China forced investors to adopt a cautious approach here. The 30-share Sensex was up 133.29 points, or 0.35 per cent, at 37,546.42 with sectoral indices led by FMCG, power, IT, teck, infrastructure and PSU stocks trading in the positive zone. The gauge had plunged 976.69 points in the previous two sessions as global trade war tensions rattled investor sentiment. Also, the NSE Nifty was trading higher by 52.60 points, or 0.46 per cent, at 11,340.10. Brokers said that building up of positions by domestic institutional investors (DIIs) ahead of index of industrial production (IIP) for July and inflation data for August -- to be released later in the day -- too impacted investor sentiment. In the Sensex kitty, PowerGrid emerged as top gainer surging by 2.76 per cent, followed by ITC, ONGC, Adani Ports, HUL and Coal India. Others that also supported the key indices include M&M, Infosys, Wipro, Vedanta, HDFC, TCS and Kotak Bank, which rose up to 1.51 per cent. Elsewhere in Asia, Japan's Nikkei was down 0.41 per cent and Shanghai Composite Index shed 0.34 per cent in their early trading. Hong Kong's Hang Seng too fell by 0.46 per cent. The US Dow Jones Industrial Average surged 0.44 per cent in Tuesday's trade.